Interviews will be held during the Career Fair. No appointment necessary! Just stop by and apply! Benefits: We provide benefits not only to attract and keep outstanding employees but also to provide genuinely good care for all Jewelry Warehouse employees and their family. We are proud to offer a broad package of competitive employee benefits. Please take a moment to browse through our list of benefits, and you will understand that Jewelry Warehouse makes a true commitment to its employees! 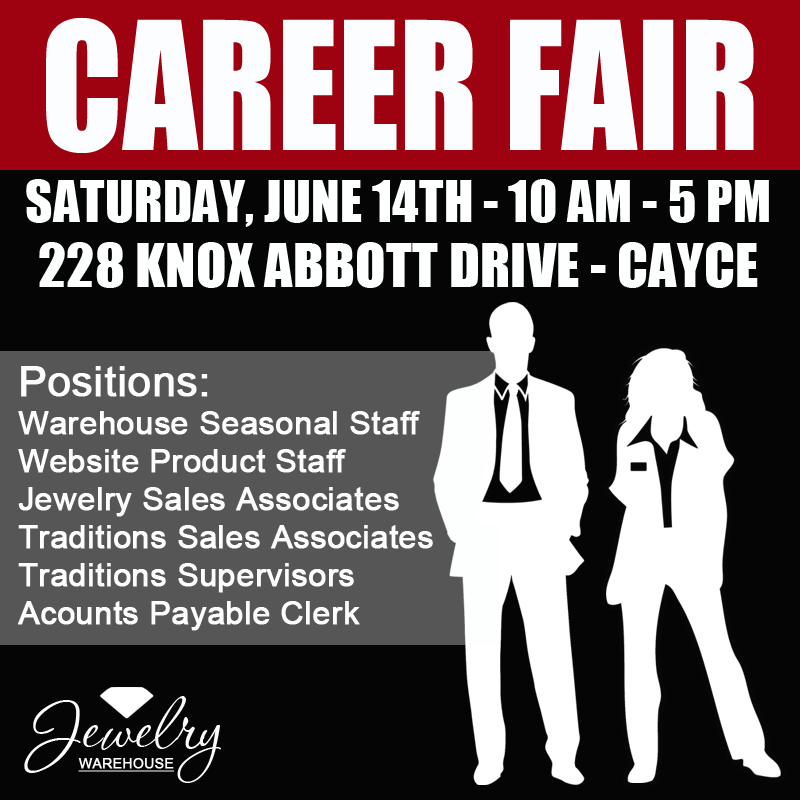 This entry was posted in Jewelry, Jewelry News and tagged columbia sc jobs, employement jewelry warehouse, employment in columbia sc, jewelry warehouse jobs, jobs, jobs in columbia sc. Bookmark the permalink.